During the US Open, ESPN did and interview with Roger Federer, after a match he won. The interviewer, John McEnroe, observed that Federer, when the result seemed inevitable, began playing a bit differently. He pointed out that Federer was experimenting during the game with different shots than he would normally play. He transitioned into a question of sportsmanship. 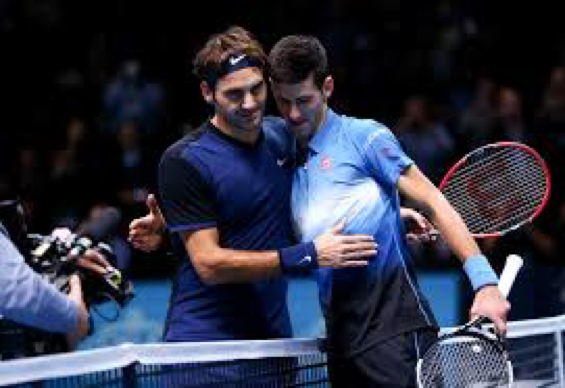 McEnroe compared Federer’s match to another tennis player, Nick Kyrgios, who gave the impression that he didn’t seem to care about a match he played. It’s not just in tennis. I thought about other sports where respect for an opponent came into question. It got me thinking about sportsmanship and the examples professionals set for kids. Ultra-famous athletes such as Kobe Bryant, Roger Federer, Cristiano Ronaldo, Zlatan Ibrahimović, and Bryce Harper, are role models to kids. Kids mimic their favorite players however they can. These days, kids shoot from farther and farther away like Steph Curry. They dance and and celebrate after made shots. They try to cross over other kids like James Harden and stare them down before shooting. On one hand, that can be seen as a player trying their best and getting caught up in the moment, but it could be seen as disrespect. Cristiano Ronaldo’s critics say he’s arrogant. They point to times when he doesn’t celebrate with his team when someone else scores a goal. As if he is annoyed he didn’t score it. His supporters say it just shows his passion. Others say it demonstrates his arrogance. Regardless, how people perceive actions is subjective. Many sports use violent metaphors: go for the kill, be ruthless, it’s a battle, this is all-out war, etc. War is a violent aspect of society which leads to many well-documented problems. With the higher stakes of war and battles, you can’t regard opponents the same as a fight for sport, not to mention even less violent contests. So is war the right mentality for a sport at young ages? Of course not, to any extreme. Most coaches and parents will tell you education and taking care of one’s self are more important. But they do not always act as if that’s true. They use the same metaphors as professional athletes and coaches. In fairness, parents and coaches may do this to emulate how the pros get in the best mindset to perform their best. This type of talk motivates and brings the best out of professionals. Kobe Bryant’s so-called, “Mamba Mentality” expresses the idea when playing, you have to be ruthless to be best. You could say the need to play hard and with intensity, at your best, is a form of respect. Professional athletes talk about how they are different on their field or court than in real life. Whether this idea of separating how you act while playing and how you act outside the game is right or wrong is a separate debate. For kids, their attention is on professional athletes during their games for the most part. This is where they see their actions and mimic them. Parents and coaches have a big role in making sportsmanship become a habit on AND off the court. Conduct outside the field of play is starting to get some more airtime. Not only does television cover more off-field activity, but players’ own social media highlights it. 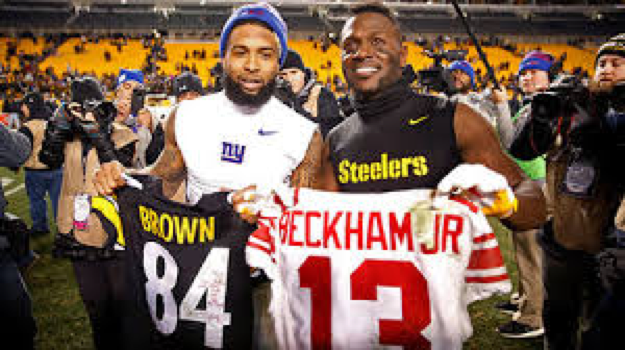 Actions such as jersey swapping, where players of opposite teams sign their game worn jerseys and exchange them, get more notice. We need more of this, and these actions must be emphasized and given the positive credit they deserve. Sportsmanship is a habit. The sooner you start acting with it, the better. However, what one sees as being a good sport, others can perceive differently. It is a tough line to navigate as parent, coach, or role model. I can’t say what is right or wrong in how to deal with this. There is something to be said for not worrying about what others say. I can say is that sportsmanship takes many forms due to perception. Being aware of that, and acting based on how you would want to be treated, can go a long way. For me, being a good sport meant always having respect for those around you and treating others the way you would want to be treated. The job for parents, coaches, role models, and mentors, is tough. But there are plenty of examples of great sportsmanship to expose kids to. The goal is to explore these topics of how to treat others and understand what consequences actions can have. Hopefully it goes a long way in a society where bullying is so prominent. Being a good sport, encouraging others for being themselves can be a factor of this. All in all, the goal is to have kids enjoy what they do, on the court/field, in the classroom, or anywhere, and sportsmanship, and by extension respect, goes a long way in making this possible.